Nothing brings a room to life and sets the mood like big art. 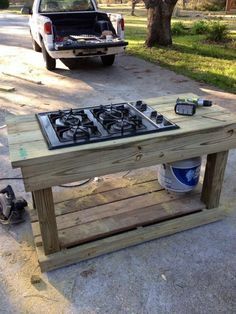 You might think you can’t afford such an extravagance, but with these on-a-shoestring-budget ideas you will be surprised and delighted how affordable it can be. Apartment Therapy’s Katie Holdefehr has found several DIY statement art on a budget ideas including a DIY option using tools from your tool box, hardware store supplies like wood, fixtures, wood filler and spray paint. 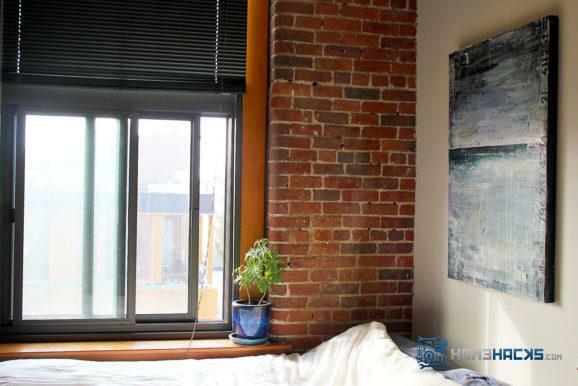 Other affordable options include hanging lightweight art from a half frame, inexpensive acrylic sheets (source included), a brilliant idea for framing large pieces of wallpaper and dowel rod frames on the cheap. Go to Apartment Therapy for the how-to’s. This is a great way to recycle all of those empty glass containers, plastic jars and empty cd canisters works too! YouTube’s Becky Stern shows you how to mount recycled storage jars beneath shelves for storage in your garage, craft room, workshop (fill in the blank). The space beneath shelves are an otherwise untapped location that we often overlook. Becky Stern uses an ice pick, hammer, glass jars and three drill screws to create this useful storage hack. In this day and age of digital media, print is quickly losing its relevance. 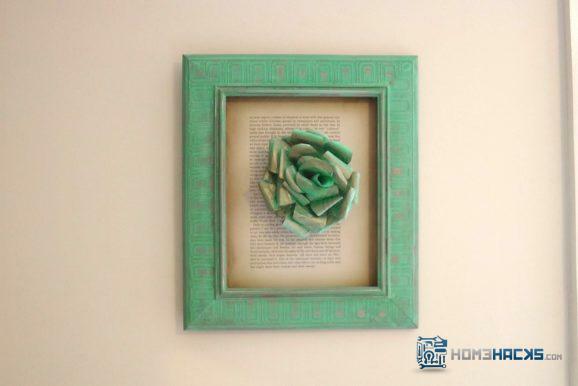 Instead of sending your much loved print titles to the landfill, why not make 3-D book page art out of them? It’s as easy as recycling an old frame and learning a little origami. For the project shown, I found a book page flower tutorial online and followed the instructions. I then painted the flower with milk paint and added gold for effect. Next, I framed an unaltered book page, then glued the flower to the page and voila! There are so many possible interpretations of this project. Why not create an origami bird instead of the flower, or frame a beautifully illustrated vintage book page without the 3-D origami? Put a new spin on those old fashioned muffin tins by turning them into muffin pan drawer organizers! I’m all about reduce, reuse, recycle, anything that involves less crowded landfills. Flea markets, estate sales, thrift stores and yard sales are the perfect hunting ground for old fashioned kitchen ware which can be up-cycled in untold ways. 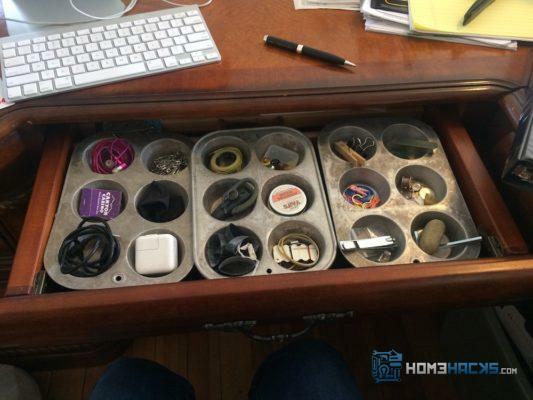 I especially love the way these muffin pans allow me to divide and store my little office supplies without the drawer becoming one big junk drawer. When it comes to cutting things, I’m all thumbs. Others in my house break out in a cold sweat when they see me pick up the butcher knife. I recently discovered that if you attach rubber bands to slippery knife handles for extra grip, you may just save your loved ones from having to drive you to the emergency room. Perhaps it’s not that dramatic for you, but using elastics on knife handles will make all the difference in your chopping endeavors. Use caution with any of the bonus hacks shown in this video, we cringed during several, including when they demonstrate that you should cut away from yourself by first showing someone cutting towards their hand – Yikes!